Having trouble separating your kick drum and bass? The solution maybe simpler then you think. Simply try dipping one frequency and boosting the other. First off - make sure it's a lower freq. You don't want to be doing this at 5kHz as it will make almost no difference with these two elements. 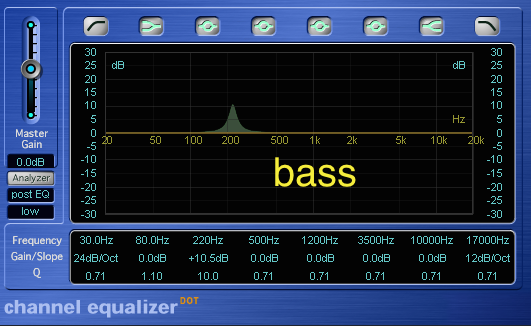 So lets say you are EQing your bass and you do a boost around 200z to get more warmth and bounce. If you notice that the two instruments aren't very separated trying taking those those same frequencies and cutting them on the kick drum. It may clean things up a bit. This technique isn't just for these two instruments but can work on a number of instruments. Try it out and see if you can give your mixes more breathing room.